YES! I want to get in to better shape RIGHT NOW! 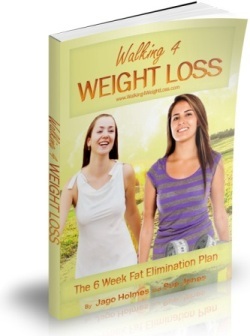 I understand with this package that I’ll not only get the ‘Walking For Weight Loss - 6 Week Fat Elimination Plan' weight loss system, but I’ll also get the 7 FREE bonuses valued at over $123.93. I know that the products come with an unconditional 60 day money back guarantee, so I can ‘test drive’ the program first to see if it’s right for me and ask for a complete refund if it isn't. You've seen that I'm a real person and not a fly by night crook waiting to steal your money. I want you to succeed. If you have any questions about this program at all, just send me a quick email. I'll personally get back to you usually within 24 hours at the latest. But please don't put this off today, because I'm currently testing this price and this is the lowest it will ever be. My next price test will be $47.99, so if you visit this site again, you may well have to pay a higher price. When you click on one of the 'BUY NOW' buttons on this page, you'll be taken to the Clickbank payment page to complete your order. Clickbank is our payment processor and is a secure server where you can make your payment and then instantly download the printable PDF eBooks to get started immediately. Clickbank can process your order securely from any country in the world, whichever currency you want to pay in. Remember, ordering a digital eBook means that instead of waiting a couple of weeks to get the info, you'll be able to start using it within a few minutes from now! You can then decide whether you read the program on your own computer, or print it out so you can have access to it anytime, anywhere. Simply click on the 'BUY NOW' button below to be taken to Clickbank's secure order form. If you have any questions or experience any difficulty downloading the manuals at all, please don't hesitate to get in touch by visiting the 'Contact Us' section. The link is at the bottom of this page. PLEASE NOTE: This is a downloadable eBook program. You will NOT receive a physical package shipped to you in the mail. The entire package will be immediately available for you to download and get started right away after making your payment. You will receive access to the program and bonuses on the Thank You page. This program is NOT available in stores, so you can only access it through this website.